MACRA establishes the Merit-based Incentive Payment System (MIPS) as well as Alternative Payment Models that will replace Medicare's existing fee-for-service payment model over a period of time spanning 2015 through 2021 and beyond. MIPS rates physician performance on four factors: quality, cost, the use of technology, and practice improvement. The news comes in the wake of significant criticism of the program as well as physician and other stakeholder advocacy to loosen MU requirements. In addition, CMS published the MU Stage 3 guidelines in October and announced more recently that 209,000 eligible professionals would face MU penalties this year for failing to meet requirements. 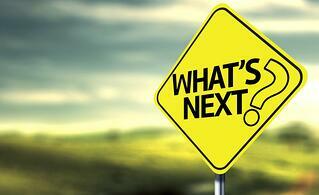 However, now that the MU program is essentially over, what can providers expect next? Provider-oriented EHRs. “We are committed to building a program that is flexible and adapts around the goals of a provider’s individual practice and patient population,” says Slavitt. CMS intends to work with front-line physicians, tech companies, and practice managers to develop a plan that incorporates specialty-specific MU measures. Focus on outcomes. Rather than reward physicians for simply using EHR technology, CMS will move toward a model that rewards physicians for the outcomes they achieve with their patients. Intolerance of data blocking. Slavitt said the agency is “deadly serious about interoperability,” and that it won’t tolerate data blocking in opposition to new regulations. IT innovation. CMS hopes to spur health IT innovation by “leveling the technology playing field” through a requirement of open application program interfaces (API). APIs would make the coding used to build these programs available to anyone. The agency will also launch a one-stop shop of resources to help private-sector companies connect with states seeking support. Shift toward more advanced Accountable Care Organizations (ACO). In his remarks, Slavitt said 21 new Next Generation ACOs will help usher in a “new wave of alternative payment models.” He likened these new ACOs, which will include 30,000 participating physicians, to the second generation iPhone. Dr. James L. Madara, CEO of the American Medical Association, told Internal Medicine News that all of these changes bode well for physicians, many of whom spend at least two hours each workday using their EHR and may click up to 4,000 times per 8-hour shift. On Jan. 11, the AMA announced that it is a founding partner in the Silicon Valley (Calif.)-based Health2047, a company focused on supporting health IT and other entrepreneurs in their efforts to provide physicians with digital tools that improve patient outcomes. “We have long needed a bridge between physicians and Silicon Valley tech, and I’m pleased to say that this bridge is now in place,” he said. More specifically, Health2047 will include physician input, testing, and feedback during all major innovation cycles in the development of new products. “We intend that these solutions will be ones that make concrete improvements for physicians’ practices, their profession and their patients,” he said. Even though CMS’ announcement is welcomed news for many physicians, there continue to be more questions than answers at this point. What exactly can providers expect in the coming year? Will CMS penalize eligible providers for not meeting Stage 1 MU requirements? Should practices continue to track their progress on MU measures going forward? Your EHR vendor may be able to help your practice answer some of these questions or provide updated information as CMS releases it. What does your practice ideally want to gain by using an EHR? What are your clinical or process-improvement goals? How could an EHR enable population health management in your practice? How can your practice currently improve the quality of care that it provides? As an industry, we should welcome this new CMS development. Ultimately, physicians are the ones who should be able to determine how technology can be useful in their own practices and for their unique patient populations. When physicians play a greater role in the construction and use of EHR technology, they’ll be more likely to embrace it in the long-term.